been up to. Long answer short: CHRISTMAS!!! Pretty much all year we have been designing and building our Christmas 2018 range. How adorable are these little mugs? These children's personalised mini character mug cosy comes complete with it's very own 6oz white mug. Available in a choice of super cute winter designs: Penguin, Polar Bear, Reindeer or Present. This super luxe Pom Pom Tree Skirt is made with 100% luxury peruvian super chunky yarn, to add a splash of the 'wow' factor to your Christmas tree. 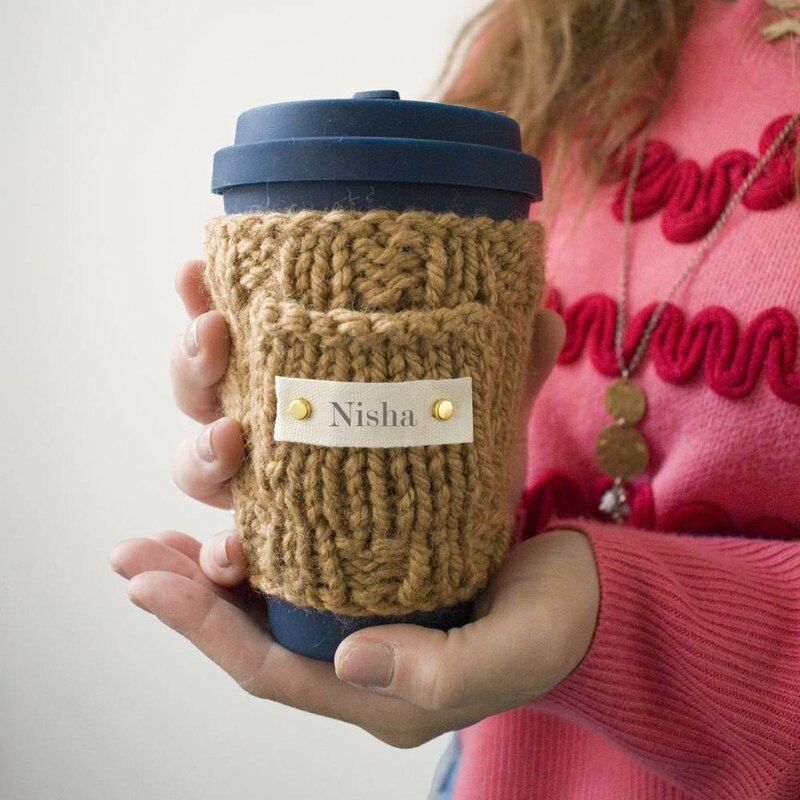 These Personalised Bamboo Travel Mug And Hand Knitted Cosy make the perfect gift for tea lovers and coffee addicts. Say goodbye to wasteful disposable cups! Our bamboo travel mugs are insulated to keep your drink warmer for longer, plus they're great for the environment. Deck those halls! Add a touch of Christmas to your home with our triangle wreath. We hope you like our new range and that this has given you some ideas for your Christmas 2018 planning.